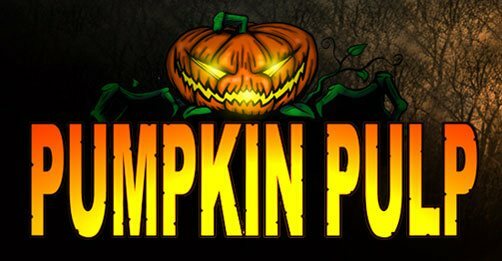 Brian Blair, the owner of Pumpkin Pulp, spent his childhood watching late night horror flicks and sniffing model glue while assembling his favorite Universal Monsters model kit. 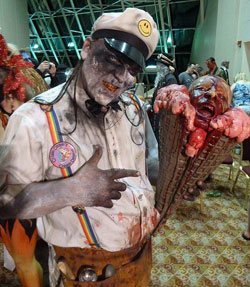 He always had a fascination with the horror industry and always sketched and sculpted his own creations. He graduated from Ball State University with a bachelors degree in Fine Arts. 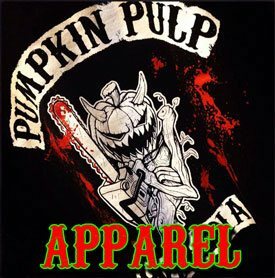 He later started his venture into the haunt industry when he formed Pumpkin Pulp in 2006. 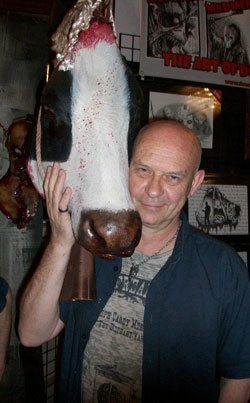 Doug Bradley, best known for his role as the Lead Cenobite "Pinhead" in the Hellraiser film series, with his Cow Head Prop from Pumpkin Pulp.